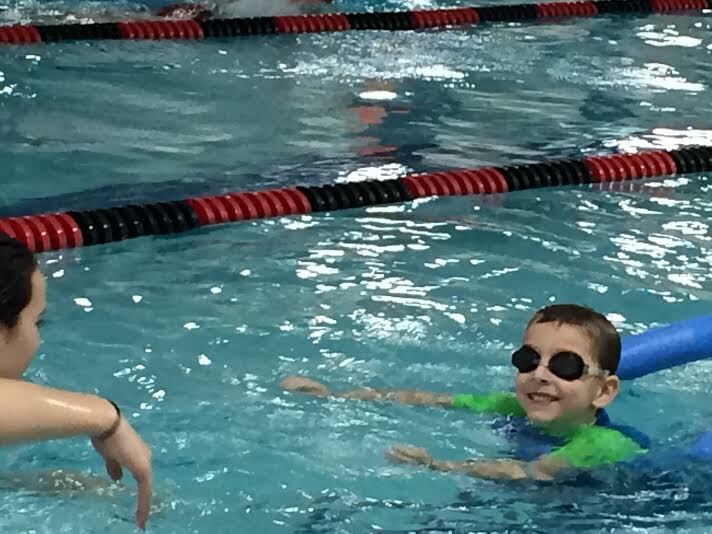 On Sunday mornings, the kids take swim lessons. First, it was just the youngest, Ziggy, learning to swim. He was beginning at the beginning, so it was slow going for awhile but he is now a pretty good swimmer. Now, the older two, Magpie and Kay take swimming lessons, too. They took lessons a few years ago, a splendidly splendiferous experience which is mainly now just remembered as the reason we now still call Kay "baby fish," because instead of trying to learn to swim she would pretend to be a baby fish. Ah, good times. But last summer, at sleepaway camp, indignities of indignities, Kay was forced to take "instructional swim" while her friends splashed about carefree as well, baby fish, in "free swim." Making the goal between now, and the time the camp bus pulls out of Times Square at the end of June, for the girls to swim just well enough to pass their test. The instructor is aware, as the girls have told them in no uncertain tween speak, "we don't care AT ALL about swimming. Like, AT ALL. 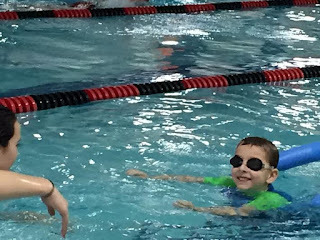 We just need to pass the camp swim test, so we need to make sure our breast stroke in in synch, that was what they said I failed for last time." "Yeah, and I have to learn something called... the sideways stroke." So, Sunday mornings we swim. Not for safety. Not for exercise. Not for the joy of the moment. That's right, it is entirely for the camp swim test. I just hope they pass.